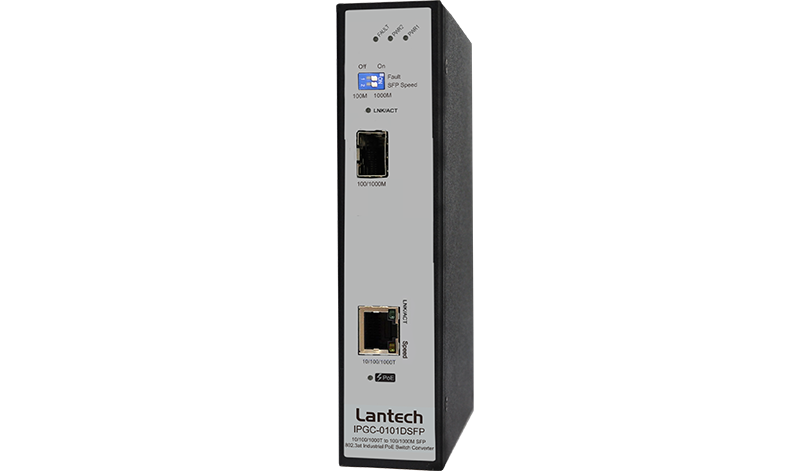 The Lantech IPGC-0101DSFP is an Industrial Converter converging from 10/100/1000BaseT to 100/1000M-FX dual speed with 802.3at/af PoE support. It supports 10K jumbo frame. Featured with LLF (Link Loss Forwarding) function, Lantech IPGC-0101DSFP is able to auto cut off connection if one end of connection is down. When copper port disconnects, it will auto turn off fiber port. When fiber port disconnects, it will auto turn off copper port. Smart LLF function alert central side switch immediate remedy action when connection is lost. Power Fault LED and relay alarm can be off by DIP switch. 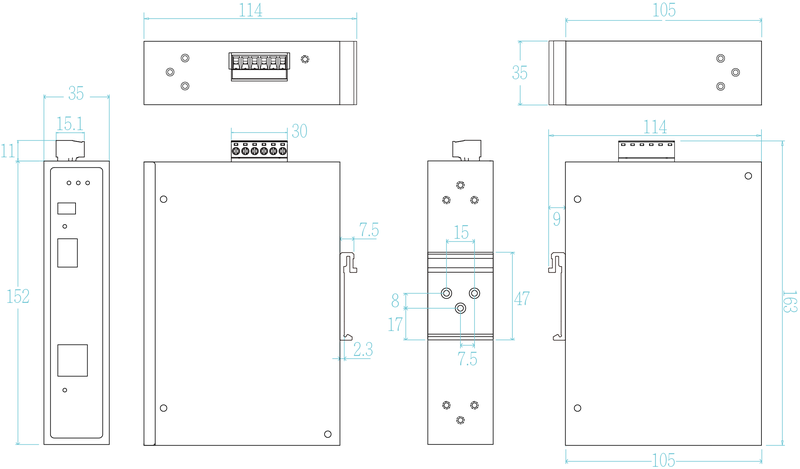 IPGC-0101DSFP supports dual input from 9.5V~57VDC (12V model) or 44V~56VDC, dual -48VDC input (48V model) for various application including vehicle, railway, solar panel etc. It provides ±2000V EFT/SURGE and ±6000 VDC (Contact) / ±8000 VDC (Air) Ethernet ESD protection, which can reduce unstable situation caused by power line and Ethernet. It has high reliability and robustness coping with extensive EMI/RFI phenomenon, environmental vibration and shocks usually found in Automation, transportation, surveillance, Wireless backhaul, Semi-conductor factory and assembly lines.